UFC 229 Pay-Per-View event is roughly a few days away, and promotion released the embedded vlog on their official youtube channel. This video serves as a brief introduction of the top fighters in the main card. In this card former two-division champion, Conor Mcgregor will make his long-awaited return to UFC Octagon to challenge Khabib Nurmagomedov for 155-pound strap in the main headliner on October 6 from Las Vegas. This fight is thus far the biggest challenge for Mcgregor. Irishman has to prove it to people if he’s still the king of sports. A lot of people are saying Conor vs. Khabib is a striker vs. grappler affair. Sure, Notorious is easily the best striker. Also, ‘Eagle’ tops grappling department. Whoever shows his best displaying will get away with a win. 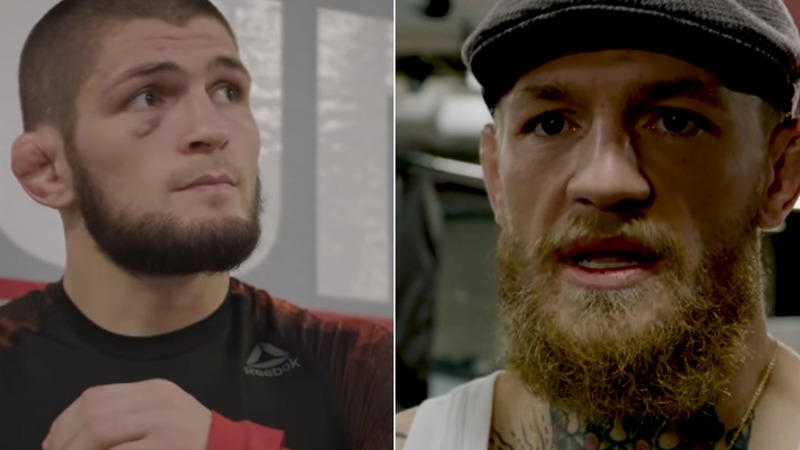 Check out the details from UFC 229 Embedded episode 1, lightweight kingpin Khabib Nurmagomedov finishes his training camp, surrounded by his coach, fans and “big energy.” Khabib said no Irish Whisky, and no Irish team can stop him. Former lightweight champions Tony Ferguson and Anthony Pettis prepare in their respective hometowns for a high-stakes co-main event. And former two-division champ Conor McGregor shows up at UFC Performance Institute, struts in front of media saying he’s out to prove once again that he’s best p4p fighter on the planet. He gathered with his team for a late-night training session in Las Vegas. Mcgregor’s coach Owen said he’s looking great during training. Mcgregor says he’ll rattle Khabib’s head, I see him a dead man Walking. UFC 229 is set to go down this Saturday night October 6th, from Las Vegas. Previous articleKhabib Nurmagomedov Believes Ali Abdelaziz Could Choke Conor McGregor Out! Next articleReport: Who the hell are those Khabib Army bros from UFC Embedded?